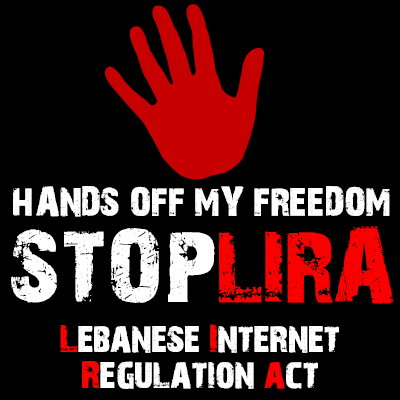 There is no doubt the Lebanese blogosphere is united against the law-proposal of the Minister of Information Walid Daouk to regulate online websites in what has became known as LIRA (the Lebanese Internet Regulation Act). A quasi-government Lebanese body, which is desperate for regulation and review itself, is planning to regulate the ‘electronic websites’. The National Council for Audio-Visual Media (NCAVM) announced this week its intention to create a register for websites. They didn’t specify for what type of websites and what are the criteria, though I can only speculate the initiative is targeted at the main sites that deals with news and politics, which became in the recent years as close as they can be to the ‘Main Stream Media’.